Mathias Giordano is 12 years old, and he and his family live here in Leesburg. Mathias is battling osteosarcoma. He's bravely been through 25 rounds of chemo and several surgeries - including amputation of his right leg. And still, he has a smile on his face. He and his family are inspirational with the outreach they do to promote childhood cancer awareness. Mathias didn't like seeing the bag of chemo product when he goes in for treatment, so a family friend quickly stitched a cover in some fun fabric for him to put over the bag when it hangs on the IV pole. Mathias loved it, and thought they should make more covers for other chemo patients. I told Mathias' mom, Roya, I'd be happy to help her with this effort, so we've coordinated a Sit-n-Sew event at the Leesburg Hobby Lobby to make these chemo bag covers! Mathias, some chemo bag covers, and one in use. 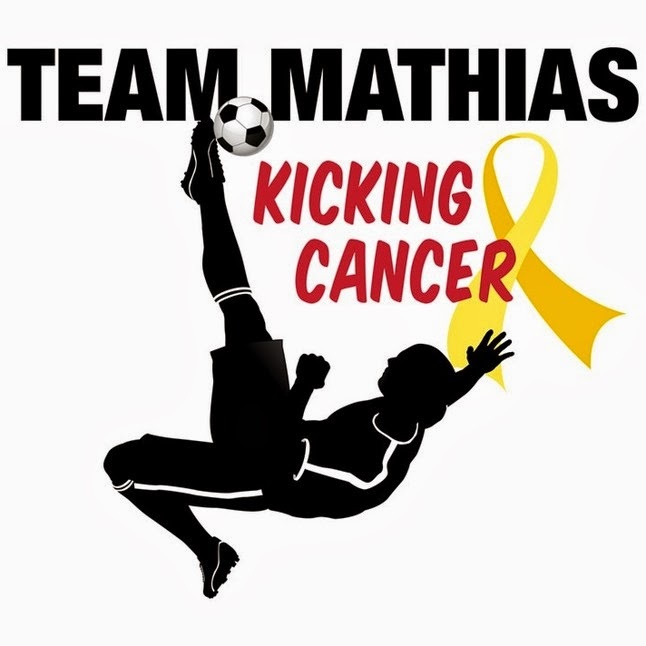 Mathias liked to play soccer before he was diagnosed with cancer, and his jersey number was 12. So, Roya picked Wednesday, the 12th to be the first sit-n-sew event. We're holding a morning sew-in this month, and an evening sew-in on March 12th. I'm very excited about this effort! Cut the fabrics 11"L x 9"W and pair them (for a front and a back to the bag). Pay attention if the fabric has a directional print - cut it so the design is straight up with a portrait orientation rather than sideways or upside-down. Darker, brighter color fabrics are preferred, so the chemo bag cannot be seen through when hung on the IV pole. Fold over the short sides of the fabric 1/4 inch and stitch down. Attach a Team Mathias label to the front cover fabric (if done for Team Mathias). Lay the two fabrics right-sides together. Leave about a 3" opening in the center of the top of the cover. Pin to mark the opening. Stitch from the pin to the corner and down the side edge. Leave the bottom edge open. Turn out, and you're done! You can also make these chemo bag covers to donate to your local hospital/clinic near you. It's an easy way to make a child's day a little brighter. You can use non-child print fabric for adults as well. To read more about Mathias, visit the Team Mathias page on Facebook, or Mathias Giordano on CaringBridge. Hi, what is the overall size when finished sewing? Thanks. Hi Terri! I used 1/4" seam allowance when sewing, so my final bag was 8.5" W x 10.25" L.
What a beautiful idea. Have Mathias in my prayers. What a wonderful project! Thanks for sharing. Wonderful idea, and perfect for the situation. Thanks for sharing this. Hope others will share this and have these in every town. Would be great to send to St. Jude's Hospital. What a wonderful idea! I found out about these through Gracie's Gowns! Quick question from a non-expert sewer. What is the final measurement of the bag? 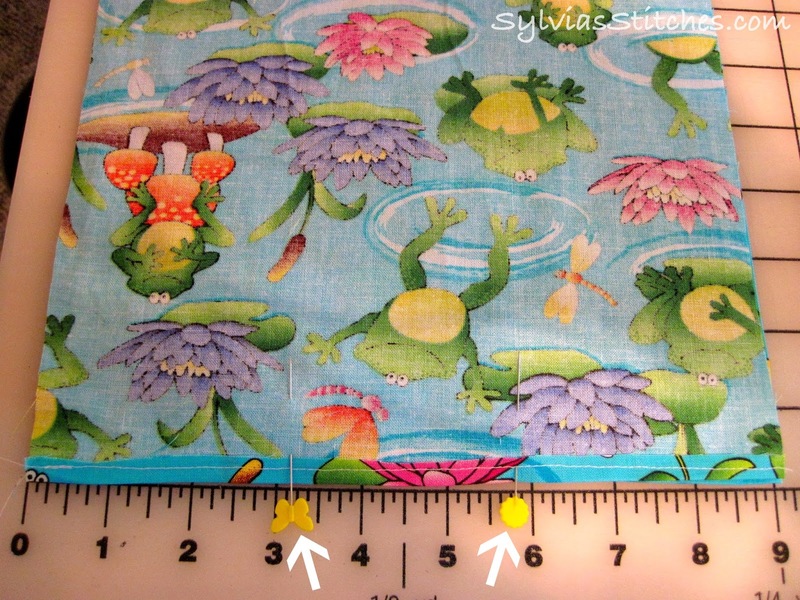 I want to be sure I don't fold the two raws edges into far or sew more then a 1/4" around. Thanks!